The American Homebrewers Association (AHA) hosts a series of AHA Rallies nationwide to give homebrewers the chance to check out some of their local breweries and connect with other beer enthusiasts and homebrewers in their area. 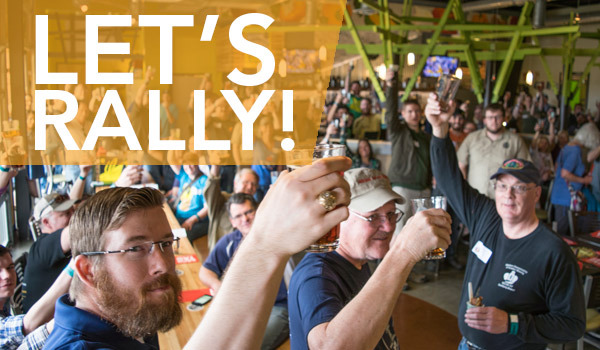 This upcoming AHA Rally will take place at Georgetown Brewing Company and offers the opportunity to take a VIP tour of the brewery, meet Georgetown brewers and staff, enjoy beer samples and win great prizes. Plus, all attendees will take home a Rally-exclusive gift from the AHA! WHEN: Saturday, September 9 | 5:00 p.m. – 8:00 p.m. COST: Rallies are free for current AHA members. Non-members can join online, or sign up for a discounted member rate at the Rally. Please RSVP for the event.